Every drop of water used in the home makes the meter whirr around like the waltzers on the Palace Pier. But by cutting down on the time you and your family spend in the shower, you can not only save money but you can do your part to help protect stocks of the precious resource of clean, fresh water. 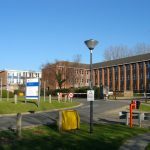 Brighton and Hove are already among the most water-efficient areas in the country, using around 130 litres per person per day compared with the national average of 180 litres. But after an incredibly dry winter, the need to watch what we use is vital. The average UK shower last eight minutes, according to research by Unilever. Taking into account the energy costs, that is equivalent to £416 a year for the average UK family – or a whopping £918 for power showers which use double the energy and water. Southern Water reckons that just four minutes is all you need for a proper shower – although we’ll make allowances for Cousin It from the Addams Family or those with especially long hair. Translated into water volumes, a power shower uses about 15 litres a minute while a shower with a water saving head uses about 9 litres. With power shower users using 43,800 litres of water a year with just one eight-minute shower a day, they could save enough water to fill one of the largest bulk tankers on British roads. Cutting your shower time is one of the easiest tricks to save water but how to time it? 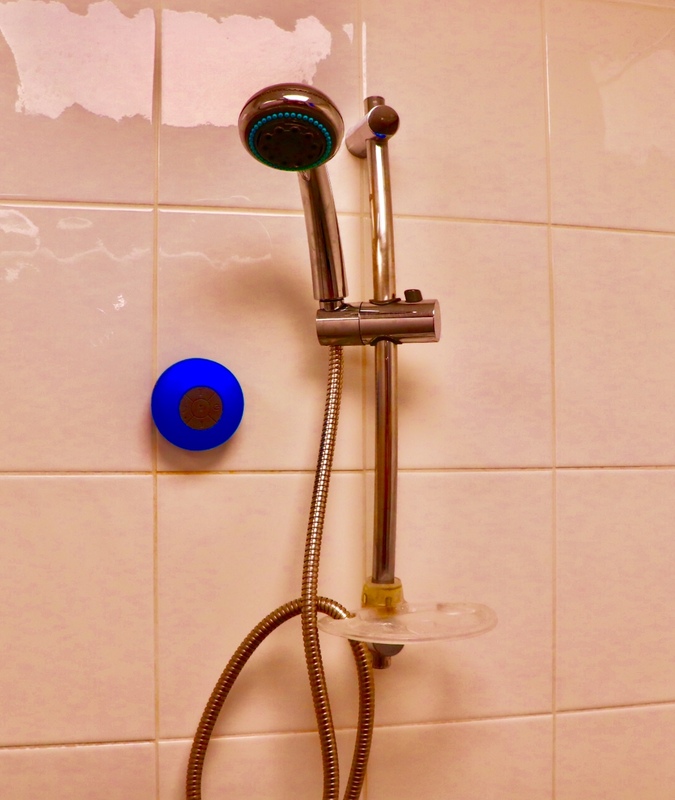 We give away free hour glass-style shower timers which do the job. But it can be challenging to watch the sand running through when you’ve got soap and shampoo in your eyes. We have a neat alternative – time your morning spruce up with a four-minute-long shower anthem. Southern Water has got hold a box of awesome bluetooth speakers specially designed to stick on your bathroom tiles, connect to your smart phone or computer and waft – or blast – sweet sounds to your ears while you shampoo some sweet smells into your hair. Maybe you’ve already got your anthem lined up – Rain Town by Deacon Blue clocks in at 3 minutes 50 seconds. It’s Raining Men made famous by The Weather Girls is a challenging 3 minutes 31 seconds. TLC’s Waterfalls is out of bounds though – an inefficient 4 minutes 40 – sorry! And yes, we’re giving the speakers away. Not so fast though – not just anyone can have one – it’s part of the Southern Water #AquaHacks competition. 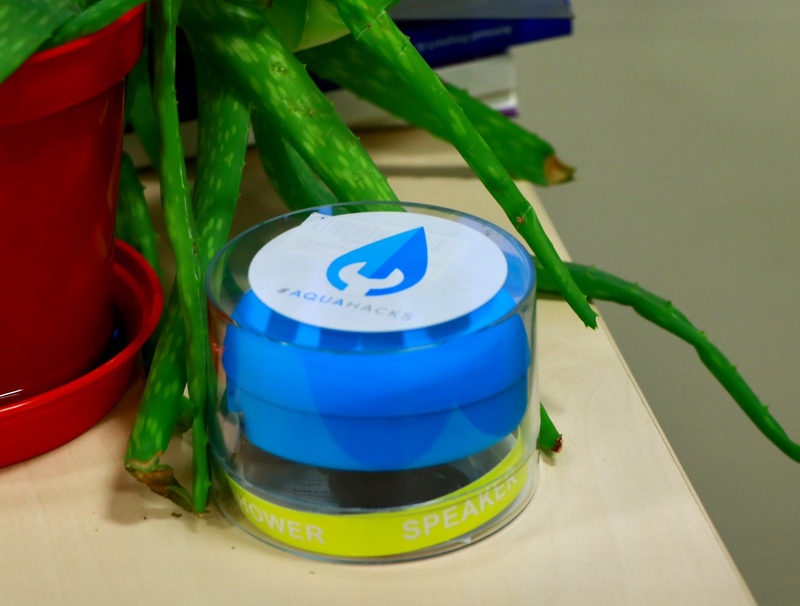 Southern Water customers can win one of our official #AquaHacks speakers by sending us your best water-saving tip – and it doesn’t have to be shower-related. So, however you’ve cut down on water use in the home could be a way to win. 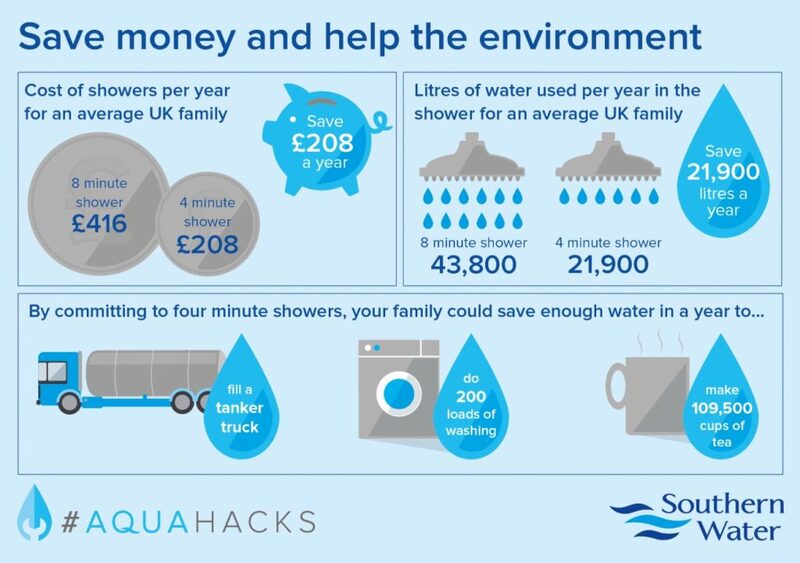 Enter by texting 80818 and using the code word Aqua before your suggestion, email mediateam@southernwater.co.uk or tweet us @SouthernWater and use #AquaHacks. Grey water ‘re cycling use your hand basin waste to flush your toilet. Use a waterless urinal kit to save thousands on water by no flushing. Al Green’s ‘Take Me To The River’ is a top track and it’s almost 4minutes long. By the time he sings ‘wash me in the water’ you might even have finished rinsing! only clean teeth with the toothpaste – turn off the cold water tap – just spit and go. only boil enough water for a mug of tea plus a mug to wash it up, save the water and the electricity.